We've recently teamed up with the guys at SparkedHost! They're now providing some services for skUnity and even given us an exclusive 15% discount at checkout with the code "SKUNITY". We have some future projects in the work which SparkedHost are powering for us. Be sure to check them out for their high quality hosting and the best prices around. I personally use them for my own testing server. I've just released the official skUnity Plugin. 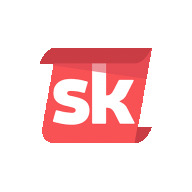 This plugin allows your server to connect with skUnity in ways never before possible. Including amazing features like updating content directly in-game, searching the docs and getting info on installed content. The best part is that the skUnity Plugin integrates seamlessly with existing content and does not require any changes to be made to the content. If you've got any feedback at all, please tell me! I'm all ears and want to really expand the features of the skUnity Plugin. 1 year of the new skUnity Forums! It's officially Christmas! The clock has just struck 12 in the UK! Santa will be making his rounds so you best get to sleep, but before that, read this thread because it's cute. 2017 has been a big year for skUnity. So much has changed across the entire site, huge updates, new features and fresh faces with some sad goodbyes to old friends. I'd like to thank everyone who has helped skUnity, helped me personally and been here through it all. There have been many ups and downs throughout the last 12 months. A lot has changed, a lot of people have joined skUnity and people have left skUnity. But no matter what, I know there are plenty of people I can turn too and plenty of people always willing to help. Thank you again to everyone who has made my 2017 feel very special. With the help of @WheezyGold7931, we have made up a list of dates across 2017 where something has happened and some stats! A lookback at the timeline of skUnity is quite interesting and just shows how far the community has changed and grown over the year.